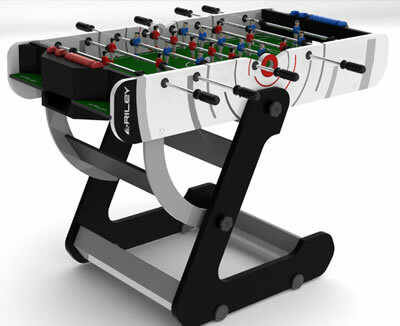 The Riley VR-90 4’ Football Table is the latest design in folding tables – stunning to look at practical in use. The table folds easily to store and has telescopic rods for extra safety in play. All built with the quality you have come to expect from Riley.